A family suffered an awful tragedy after using VoIP solutions to call an ambulance when their toddler was sick. Because the VoIP phone line was registered to their old address, the ambulance was initially dispatched to the wrong city. By the time another ambulance arrived and took the toddler to hospital, the child was dead. The incident happened in Calgary and the Edmonton emergency services were involved. Speaking for the City of Edmonton, Devon Card, said: “Don't leave it till the last minute to find out about E911 and VoIP limitations. Before any tragedies happen consumers must ask questions to fully understand their service." Elijah Luck was only one-and-a-half years old when he went into medical distress. Although his family live in Calgary, the ambulance was dispatched to an Ontario address more than 2500 miles away. 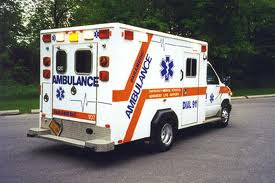 It took 40 minutes for the second ambulance to arrive at his home. Emergency 911 has always been a critical and controversial subject with new VoIP solutions as VoIP does not have the same 911 provisioning as a landline. However many phone providers are addressing the E911 issue. They do so by offering an enhanced 911 service which is available through fixed VoIP systems and connects callers with an emergency communication centre in the same city as the call. Furthermore enhanced E911 automatically provides the telephone number and address in case the call is disconnected or the caller cannot speak. 0 Response to "VoIP Call causes Toddler's Death"